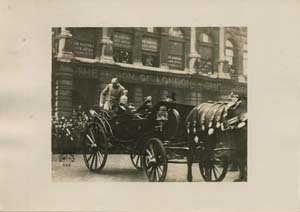 Woodrow Wilson and Edith Bolling Wilson in London, probably on 1918 December 28. Papers of Woodrow Wilson, Special Collections Dept., University of Virginia Library, Charlottesville, Va. 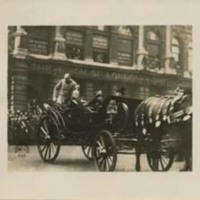 US Signal Corps, “Woodrow Wilson and Edith Bolling Wilson in London,” 1918 December 28, 000000595_0092, University of Virginia Woodrow Wilson Photographs, Woodrow Wilson Presidential Library & Museum, Staunton, Virginia.